The fourth of July is an historic day for Americans. It signifies our freedom and independence and the American way of life. 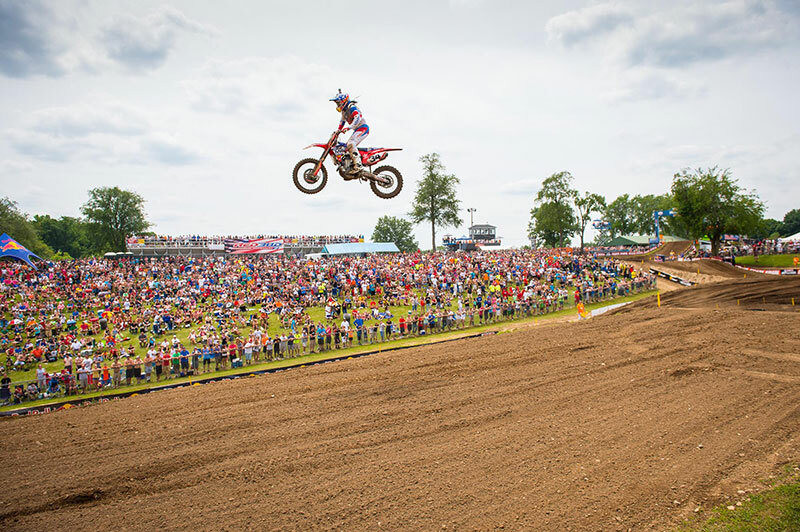 As motocross fans, it also means the best riders in the world are lining up at Red Bud Track and Trail for the annual motocross festival in Michigan. This year was no exception and there were some fireworks left over for the race on Saturday. 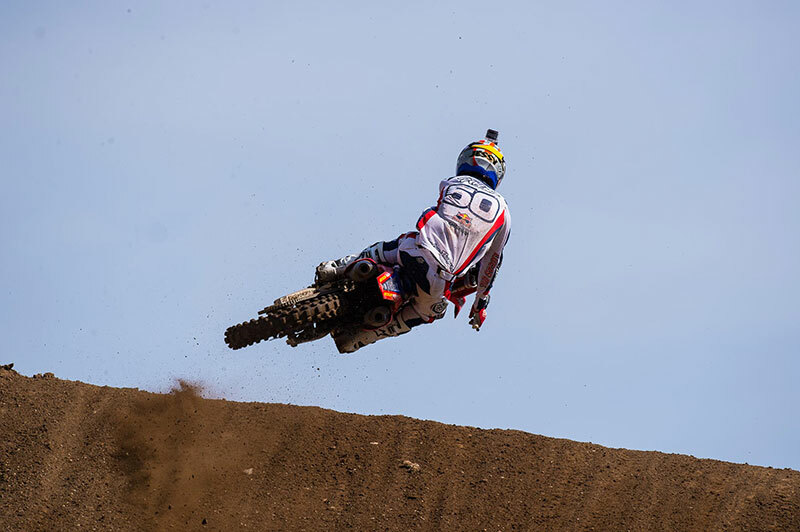 In the 450 class Troy Lee Designs / Lucas Oil / MAVTV rider Malcolm Stewartstarted inside the top ten in the opening moto. After some bar-banging and charging, he found himself in seventh with a clear track around him. Stewart would run half the race in that spot before making a few mistakes and dropping to ninth at the finish. Malcolm shot off the line again in moto two and was trying to duplicate his first moto charge forward. 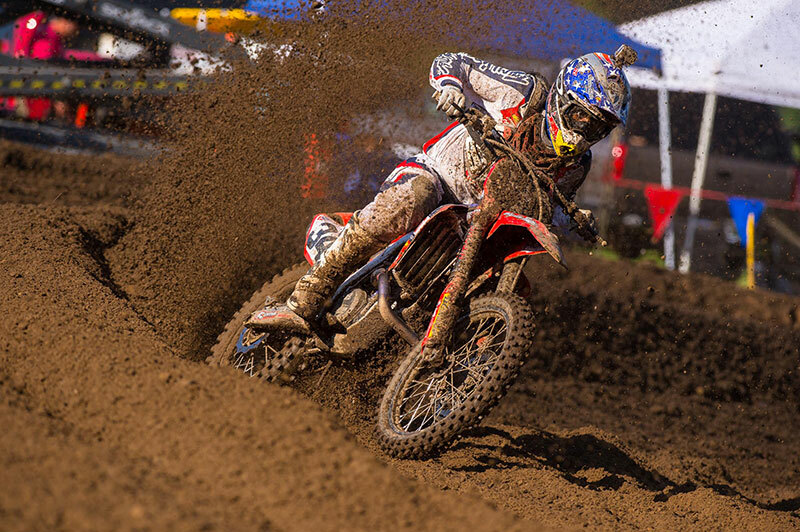 Unfortunately he just couldn't get things going and the rough, rutted course was getting the best of him. Malcolm was the victim of a late-race crash that would knock him out of the race. His 9-DNF moto scores would leave him in 15th position for the day. 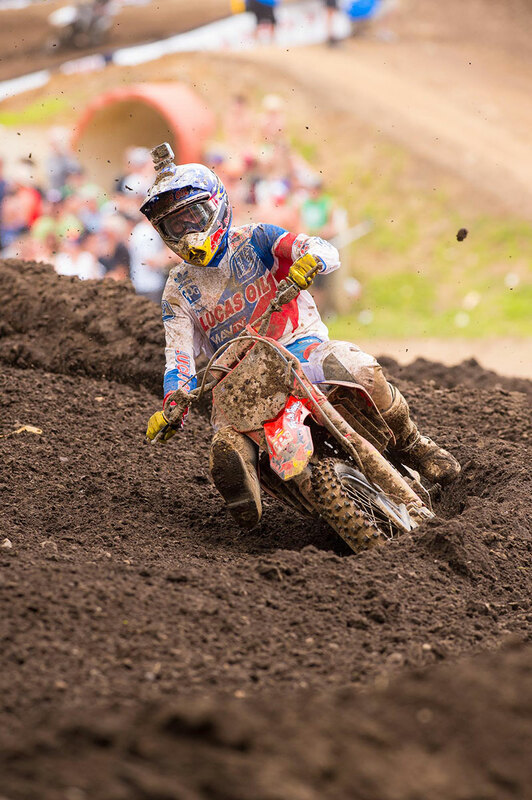 Cole Seely and Jessy Nelson led the way for the Troy Lee Designs / Lucas Oil / MAVTV / Honda squad in the 250 division. 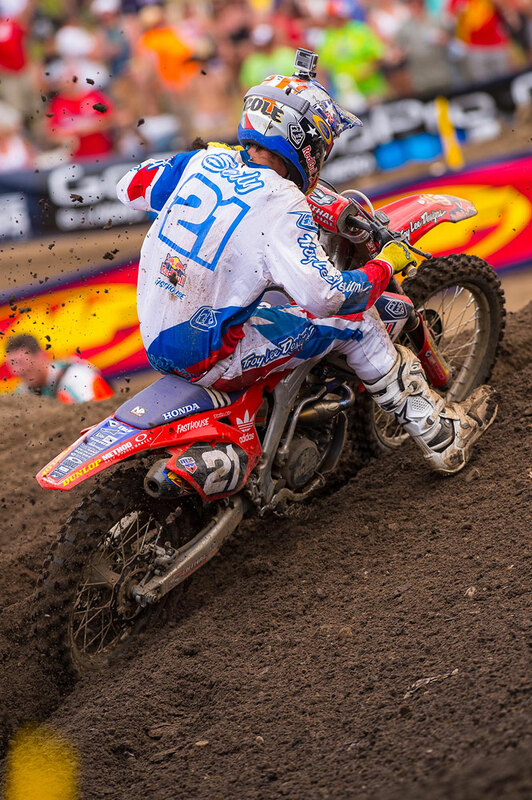 Seely started off in 11th place and went to work immediately on the riders in front of him. 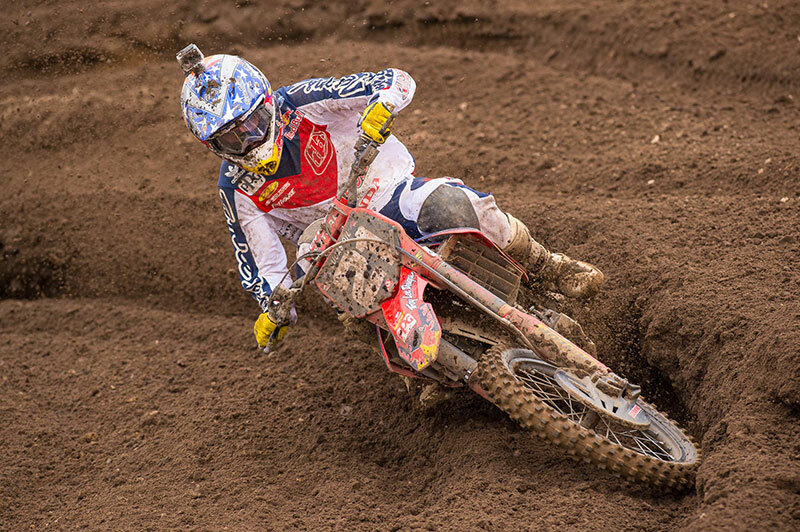 Seely scratched his way up to fifth before a collision with another rider would put him on the ground. Cole was able to get up and salvage an 8th. 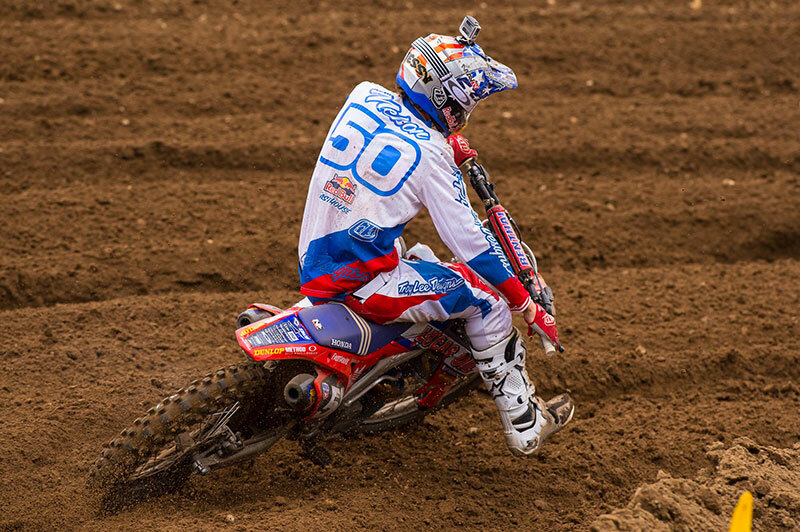 Jessy Nelson, meanwhile, had a great start in the moto and was looking like he could find the podium. Before he could complete the first lap, he tangled with another rider and hit the deck. Jessy was able to get up and advance to the 12th spot at the finish. The second moto saw Seely again with a tenth place start. The lanky speedster from Newbury Park twisted the throttle extra hard to make up for his crash in the opening round and pushed all the way to 6th spot. His finishes would land him a 7th overall on the day. Nelson was in hot pursuit of his teammate for most of the moto and was making passes right behind Cole. For a while it looked like the two would finish one behind the other. With about ten minutes to go Nelson made an error and was sent to the ground. He walked away unscathed but was unable to continue racing. Jessy was slotted in 17th spot for his work at Red Bud. The Troy Lee Designs Team is still waiting on their third 250 rider, Shane McElrath, to make a return. but no word exactly on when that will be. In the meantime the boys will be healing their bumps and bruises and preparing for another fight next weekend in Budds Creek, Maryland. 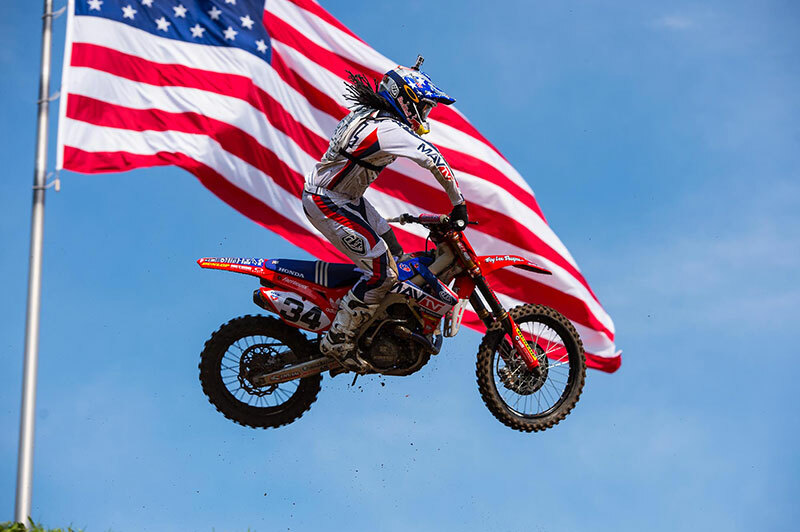 Be sure to cheer on the TLD riders as they chase pro motocross cash, prizes and glory. 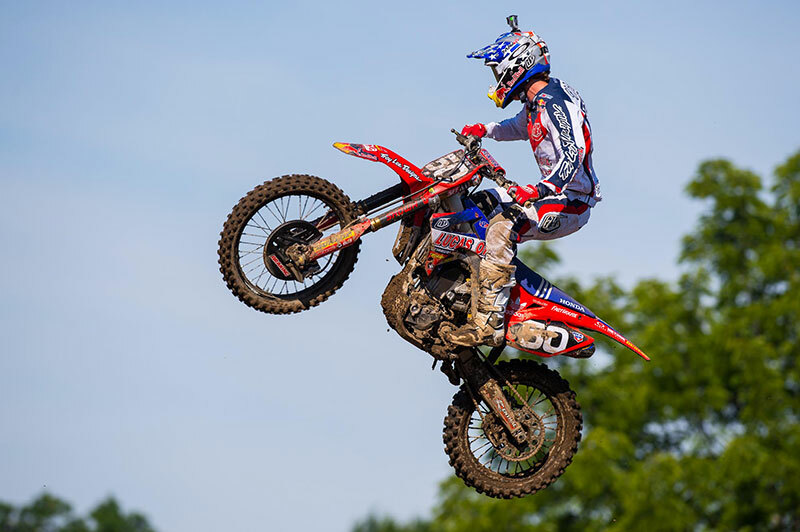 The TLD riders wore the 2015 SE Pro and 2015 GP Air gear at Red Bud MX. Both lines, along with the 2015 Moto Helmets are now available online and at your local TLD retailer.